124th session of the UN Human Rights Committee: Human rights defenders presented their position in the UN | РПГА "Беларускі Хельсінкскі Камітэт"
Belarus, as a party to the International Covenant on Civil and Political Rights, is obliged to periodically submit reports to the UN on the implementation of the Covenant. Despite this, the government last reported more than 20 years ago. 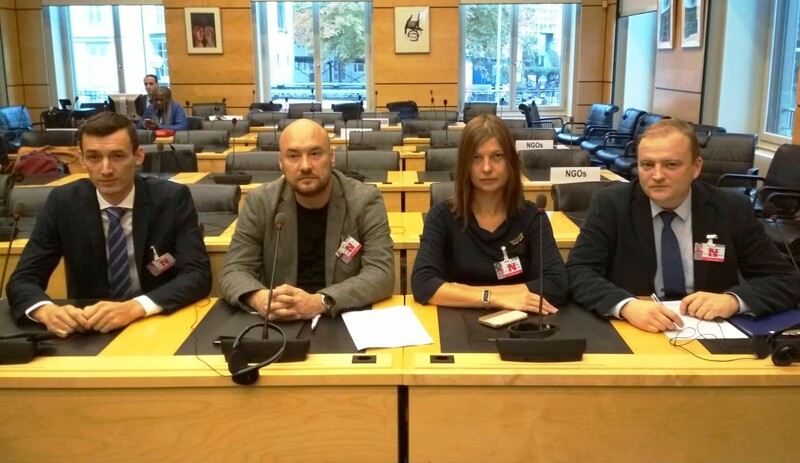 This year, the Belarusian authorities finally presented their report at the 124th session of the UN Human Rights Committee from 8 to 9 October. Representatives of the Belarusian civil society prepared an alternative report. We would like to offer to your attention the Oral Statement of the Coalition of Belarusian Human Rights NGOs to HRC.